he 92nd birth anniversary of one of the most praiseworthy sons of Bangladesh the poet-philosopher and the folklorist of international name and fame-Ashraf Siddiqui was observed on March 1, 2019. He is an eminent educationalist and litterateur of Bangladesh and has taught at Dhaka University and government colleges. He had been Director, Central Board for Development of Bengali, Director General, Bangla Academy and Chairman of the national news agency, BSS. He was awarded Ekushe Padak by the government in recognition of his contribution to Bengali literature and folklore in particular. In the late 1950s Siddiqui went to Indiana University, USA for his Master's and PhD on Folklore. After doing these, he returned home and got him deeply involved in collecting folk tales. These were later published in book form with analysis. He published books like Lokshahittyo, Folklore of Bengal, Folkloric Bangladesh, Our Folklore Our Heritage, Kingbodontir Bangla etc. He is the leading folklorist of the country. Ashraf Siddiqui earned fame as a poet when he was a student in a village school. At that time he was praised by Rabindranath Tagore when he sent his poems to him. (April 30, 1940). Later he went to Visba-Bharati, Shanti Niketan for study and came very close to Rabindranath Tagore. Born in an illustrious Muslim family of Nagbari, Tangail in 1927, Ashraf Siddiqui showed his talent as a poet when he was a school student. His Taleb Master and many other poems caught the attention of all and sundry both in East and West Bangla. In fact, he emerged as a recognized poet in the 40's when his poems were published in the leading journals of the united Bengal. His books for children, particularly his â€˜Bhombol Dashâ€™ â€˜Tuntuny and other storiesâ€™ caught the young minds very much. His noted children book 'Bhombol Dash' was translated into English and other languages also. 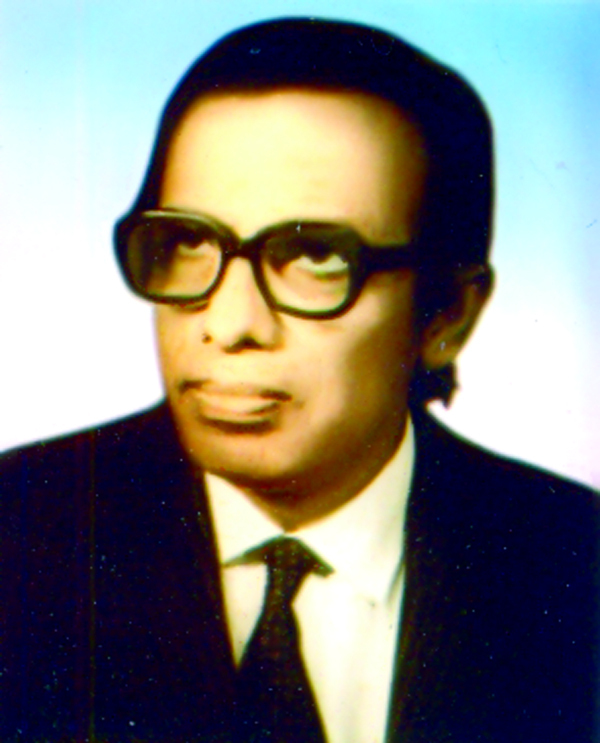 Golir Dharer Chheleti established Siddiqui as a short story writer. Based on his story â€˜Dumurer Phool,â€™ the eminent film maker Subhash Dutta made a film that won a National Film Award. But his poetry comes superb of all his creations, particularly the one named, â€˜Taleb Masterâ€™ (I am Taleb Master of Talsonapur). To my mind, had Ashraf Siddiqui left no other poems, excepting Taleb Master, his rank as a poet would have been decided. We are sorry that this poem is no more in circulation. The older men know what message this poem conveys. Let this poem be a part of our syllabus. This is an immortal poem of Ashraf Siddiqui. We salute him! I am Taleb Master of Talsonapur. How dare I make such a claim? I recollect many innocent young faces and bright eyes. Listen! I take pride in telling all these. Many of them are now celebrities! You will identify them if I give their names. I pray to God for making them even more famous! And my vision is blurred. The story of my life before it is too late? And many more big guns! Have you heard a story where there is no iota of romance, but stories real? A Tale of Bangladesh indeed! My respected Sir, I am that poor Taleb Master of Talsonapur! I heard about Dr Ashraf Siddiqui during my student life. I read his poems and knew him as a great scholar. But I first met him personally when my book on Lalon was first published in 1963, the year Lalon Academy was established with my initiative and direct assistance of the then Deputy Commissioner, Kushtia, QG Ahad. I was then a teacher in the Department of English, Kushtia College. During Pakistani period Lalon festivals were organised. Dr Muhammad Shahidullah, Professor M Mansuruddin, Dr Ashraf Siddiqui and Dr Mazharul Islam among many others attended these programs. After Independence, I organised 200 Birth Anniversary of Lalon Shah on a large scale. It was attended among others by scholars and musicians of Bangladesh and West Bengal, India. Professor Asutosh Bhattacharya, Professor Asit Kumar Banerji of Calcutta University, Professor Nirmalendu Bhowmik, Professor Tushar Chattopadhyaya, Professor Sanat Kumar Mitra, Professor Dulal Choudhury. Musicians Nirmalendu Choudhury, Bal Krishna Menon, Purna Das Baul, Gauri Bhattacharya and student singers from Rabindra Bharati and a good number of journalists came from West Bengal, India. Professor M Mansuruddin, Dr Ashraf Siddiqui, Professor Mazharul Islam, Professor Neelima Ibrahim also attended from Bangladesh. The Education Minister of Bangladesh Prof. Yusuf Ali attended the program as the Chief Guest. Dr Ashraf Siddique never missed any program. He preferred to live with the members of my family. He liked food prepared by my wife late Professor Syeda Amena Karim. Kushtia became his second home. Here he lived, feasted and wrote books on Kushtia as a memoir. Dr Ashraf Siddiqui mentioned of this in his memoirs. He loved Kushtia more than any other place. I took him to many places in Kushtia, Shelaidaha Alamdanga, Chuadanga, Meherpur including Mujibnagar, Meherpur. He also attended cultural program at Meherpur Government College along with his wife when I was Principal at Meherpur Government College. tulto a gram bhatialir soor ! champa phooler moton chhilo rup. -This hamlet known as Ruppur beside the turbulent river Bongshai, and making rhythm with ripples riptide along the banks tuned with the Bhatiali (a kind of folk song), she moved majestically and wearing the crown of snow-white kashful. And here in this hamlet once lived a village bell who had the image of the beauteous 'champa'. She used to make a toy boat with keya -leaves and while floating it on river water she looked on as a mute observer. Our loving great poet and folklorist Dr Ashraf Siddiqui is now very sick, but still he enjoys the moments of pleasure and shares the pangs of pain with his friends and associates. We pray for his long life.